Shabir started working at a very early age and became the youngest CTO at the age of 21, he won Business world Young Entrepreneur Award this year & Entrepreneur of the year 2013 by TiE. He is honored with the “100 Smartest Digital Marketing Leaders Citation” by World Digital Marketing Congress this year. Shabir has had a successful track record in various technology and business positions at a CXO level for few years before he became an entrepreneur. 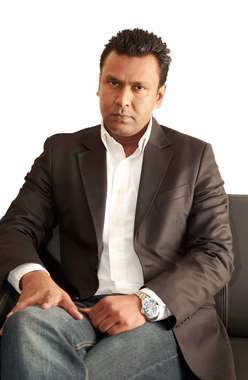 He has sold few ventures in the past and his current ventures that he has founded and co-founded are ZengaTV, one of the leading OTT services, OneDigital Entertainment, a Digital content company, OneAxcess.com, a unique self-serve, multi-platform distribution and monetization video ecosystem with over few thousands of content owners, creators and brand advertisers on board, InnovCrowd Pte Ltd which owns two Crowd funding platforms - DesiredWings and Catapooolt focusing on reward based and equity crowd funding respectively, Rastey, a Cab Service, Wyze Bots, a chat bot company, Leap 10, a start-up incubation lab, WoVoyage, a women only travel company & PSiamgone.com, an after death service. Etc. He has further investments in renewable power and few other industries. He is a successful entrepreneur and a professional with an excellent track record in technology innovation especially in the digital media and convergence technology. Data Driven Insights are the New Drivers to Change & Decision Making.